Vortecon: a kinetic sculpture that sits on your desk and helps you kill time and take your mind off things. It creates an optical illusion of a continuously flowing helix. Water Droplet Kinetic Sculpture: those of you who spend a lot of time on Reddit have probably seen this hundreds of times (people keep reposting it). 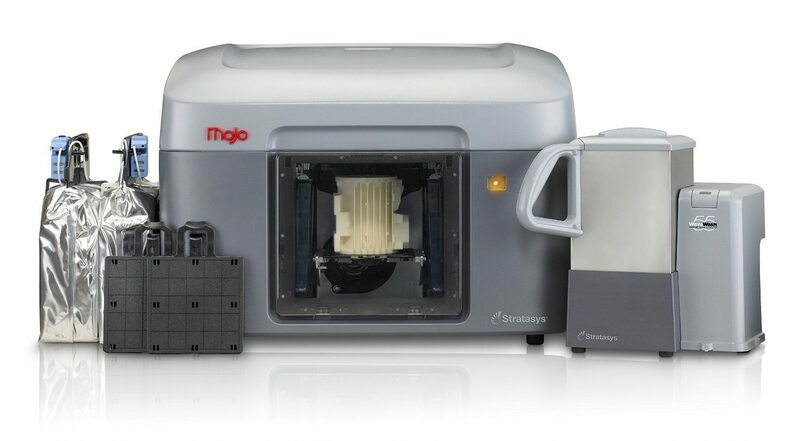 You can build your own with a 3D printer. 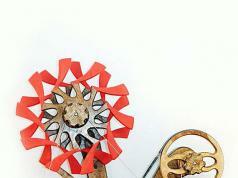 Zinnia: a mesmerizing kinetic sculpture that runs for 40 minutes on a full wind. Its display wheels are 24″ in diameter and change rotational speed and direction to make trippy shapes and patterns. MechaniCard: a beautiful toy made of paperboard with bits of wood, metal, or plastic. Pi Tree: this is a 3D printed kinetic sculpture that changes shape as you twist it from one side to the other. 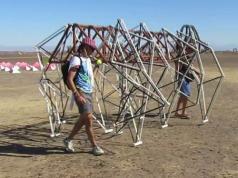 Walking Pod: a spider-like form of transportation inspired by the Strandbeest. It has a chair inside the cockpit that can be adjusted. Gear Head: a kinetic sculpture with 76 gears. It is driven by a phonograph spring motor. 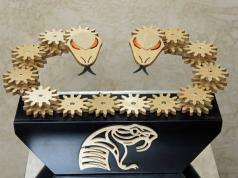 Viper Gear Driven Kinetic Sculpture: a gear driven piece with two snakes that coil and uncoil as you turn the knob in the back. Blossom: a wooden sculpture that puts on a mesmerizing show. It was designed by Andrei Dudescu. Doesn’t need a power source to operate. EMT Kinetic Sculpture: brings the Grand Canyon of the Colorado River painting by Thomas Moran to life. As the gears are turned, the various features appear on the sculpture. Rainbow Wave: this LEGO sculpture has 1150 moving parts. It has balls that surf on a wave of 38 LEGO colors. LEGO Dragonfly: has a pair of hands that open to reveal a dragonfly. A single crank is used to drive all the motion. The Engineer: a LEGO human head that opens up to show what is inside. It also has a light powered by the LEGO motor. BB-8 Kinetic LEGO Sculpture: inspired by the Sisyphus Kinetic LEGO Sculpture by JK Brickworks, with the movement driven by a central shaft in the mid-section. LEGO Rhinoceros: another beautiful sculpture inspired by Theo Jansen’s sculptures. It is built close to the proportions of his beasts. 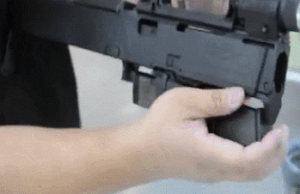 There is also a hand grip in the back to make transportation easier. Moiré Clock: combines LED lights and a trippy effect to put on a show. It has a gear mechanism to drive the movement. Garden Kinetic Sculpture: a trippy garden of flowers with wooden mechanism. 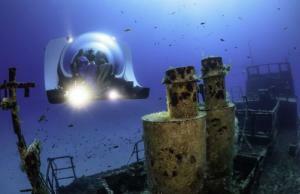 Megalodon: is a shark from distance but really is part spaceship and part submarine. It was started with a salvaged wing fuel tank from a F-94 bomber plan. 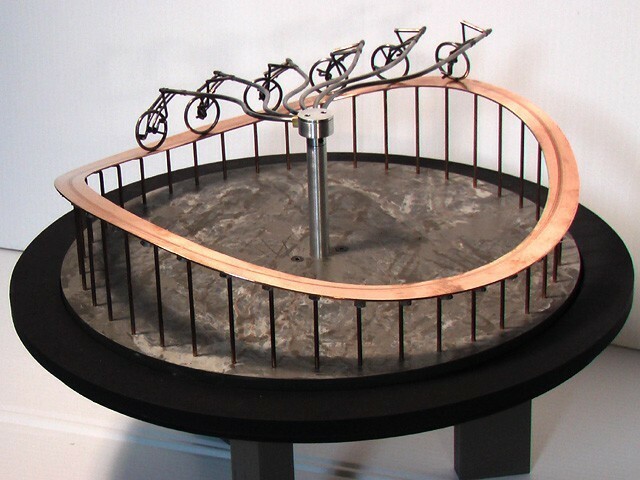 Ol’ Fence Kinetic Sculpture: Ron Schroer’s piece has 30 individual motions. Its speech is created with a talking drum. 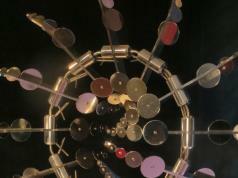 Asterism: a pendulum display that puts on a hypnotic show. It is powered by an electromagnet to give the illusion of perpetual motion. Kaleidoscope Sculpture: a brilliant piece that puts on a trippy effect as you spin it. Ryan Kvande is behind this piece. The Sway of Public Opinion: a sculpture by Brad Litwin. It consists of six cycling figures going around a wavy track. The Bat: a motorized kinetic LEGO sculpture of a fruit bat. The stand moves the entire body up and down. Boneshaker Big Wheel: another impressive creation by Ron Schroer. It consists of a penny farthing bicycle with a Theo Jansen mechanism adapted to be pedal driven. Wormhole by Greg Stirling: another motorized piece with trippy circular motion. 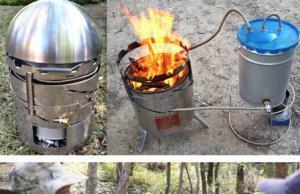 It is made of stainless steel, aluminum, and black walnut.